Off for a jog down the park? Or perhaps just learning to swim? Our range of promotional Armbands has something for all your exercising activities. Our range of branded armbands are great for encouraging people to get out and about exercising. Whether it’s their first time in the pool or a promotion for avid runners, we have a custom printed arm band for any requirements. What we love about these personalised products it that they are such a practical item that they are ensured to be kept around for a long time. 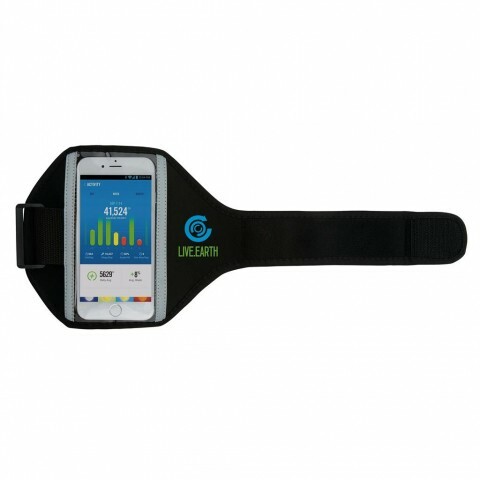 So whether you’re doing a promotion at work to get people out and running in the winter months with some light up armbands or are looking to get your running team some tech ready armbands, we have a great selection to choose from. From safety first Flashing Running Armbands to taking your smartphone for a run with our personalised Tech Armband, we have plenty of options to choose from. A favourite from this range is our custom printed Waterproof Sports Armband which is the perfect accessory for your modern runner. 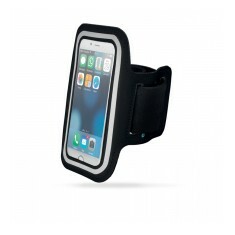 Made from elastic fibre, this armband is lightweight and waterproof making it excellent for taking your gadgets out on your jog and it even has a secure slot to pop your key into! Printed with your design and available in 4 different colours, this armband is sure to turn heads in the street. Ready to get your running gear on? 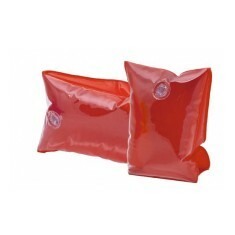 Give our sales team a call and we can get your armbands personalised with your design! Lightweight & waterproof. Velcro fastening. Fits most smartphones. Elastic fibre material. 4 colour choices. PVC material. Excellent branding area. Printed to both armbands. 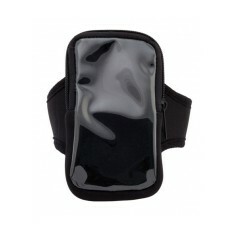 Neoprene armband with PVC pocket. Adjustable strap & velcro pocket. Printed to window. 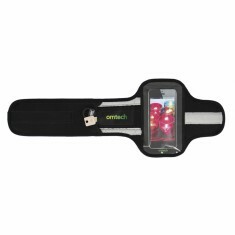 When you're working out, keep your phone to hand with our printed Mobile Phone..
Be ready to race with our Tech Armband. 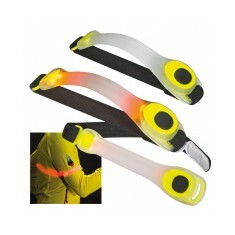 This adjustable armband is ideal for a..
2 LED lights. Velcro closure. Choice of permanent or flashing light. Branded between lights.